﻿ Why you should use fly fishing strike indicators for nymph fishing? 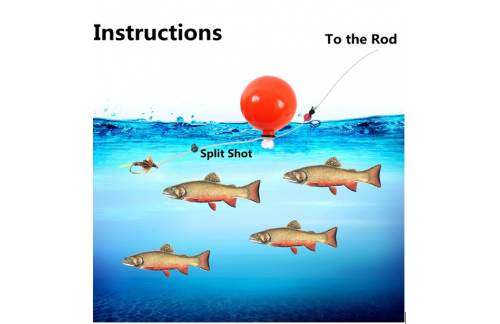 Detecting the strike is easier with a fly fishing strike indicators, that’s the main reason why anglers use it. It’s the better way to keep an eye about what’s going on with your fly. It’s also very helpful to keep your nymph out of the bottom. It’s really effective with nymph fishing cause you can put the fly just front of your fish, and you’ll quickly know when a fish is taking your fly. It’s really important to use a floating line when you nymph fishing with a strike indicator, the thing is really more easier to maintain your drift with a floating line. Do not use any heavy split shot. You should use micro split shot spread out along the leader. You should also add weight above the nymph, it will help you to keep the fly near the bottom.